Ascension has been a major buzzword in the New Age community for more than a decade. Information about ascension has come from numerous spirit guides and ascended masters, through many different channels. We’ve been counseled to heal our dysfunctions and let go of our blockages, to prepare for ascension into our light bodies. We’ve been shown visions of a time when we will slough off the need for food as sustenance along with other basic human needs and limitations. Of course, there is a time-honored way of sloughing off the limitations of the human body already in common use-it’s called “death.” And ascension is definitely not death; it’s something else entirely. Yet in order to ascend we must, in a very real and present sense, “die” to certain aspects of human behavior and of human biology. To gain a better understanding of the coming ascent from human flesh into our light bodies, we begin by remembering the long-ago descent of our lightbodies into human flesh. In the teachings of tribal traditions, belief systems, mythologies, faiths and religions, there is a common thread that poses and answers the question, “Where did we come from?” Someone dreamed us… someone made us… someone sent us here. Someone invented us and empowered us. The source of our forms and lives, the source of our abilities to maintain, sustain and reproduce our species, the source of our strength, intelligence and guidance is generally acknowledged to be a force that stands above and beyond ourselves, a force that comes from outside. Judeo-Christian tradition begins with the Bible’s familiar Old Testament quotation: “In the beginning was the Word, and the Word was God, and the Word was with God.” In this way we are given to understand that all creatures great and small upon the Earth (and indeed, the heavens and the Earth themselves) came into existence as the thought forms-the choices and intentions-of the powerful being we call God. And so it was on Earth at humanity’s beginning. The cosmic mystery of life itself had been unfolding for countless eons across a boundless universe. Forces of light had created our planet and focused on it, setting the wheels of perpetual creativity into motion. An ecological process had been in operation for countless millennia, biodiversity was an established norm and animal life was abundantly present on the planet-along with powerful beings of light from the source planets in the Pleiades-before the first human being came into existence. In the transition from pure thought form to physical incarnates, the colonists established within themselves a physical structure loosely comparable to that of the planet’s pre-human animal population, but with certain differences. They entered into bodies of flesh and blood, bone and tissue, cellular biology and microbiology, yet the whole of it was still powered by direct universal energy, rather than food-source fuel. It wasn’t until much later, long after the great sharing of the divine spirit, that the star-colonists converted to an energy source that relied on food for fuel. That came gradually over the centuries as the vibration of a young humanity was steadily rising and the vibration of the star-colonist elders was steadily diminishing. At last, the personal vibrations of the two classes-humans and colonists-were close enough together to permit intermingling and interbreeding. In this way, divine and animal natures came to exist in one marvelous creature: the human being. That was a major milestone in the Earth’s development. The original colonists and their descendants gave up the last remnants of their special powers and privileges, and invested themselves more fully in mortal lives. Within a few generations, they became so absorbed by their own condition of humanity as to have forgotten that they had only recently been gods and goddeses. It was then that the star colonists switched from reliance on direct energy sources to the food-fuel process. They continued to be powered by electricity-“energy”-as before, but now the source of that electrical energy was provided by an internal process rather than by tapping into an external source. It was then that they also gave up their expectations of life spans extending over hundreds of years and entered into a series of shorter incarnations. From that time, we humans have relied on the internal production of electrical energy to power our lives The process of converting food to fuel, within a human body relies on tiny cells within our cells, called mitochondria. The mitochondria hold the keys to life, and the keys to death, as well. After the star colonists had “downgraded” and descended vibrationally into humanity, there followed a long, slow process of human intellectual and spiritual growth. There were always individual anomalies and exceptions, but the vibration of humanity as a whole were through a wavelike series of peaks and troughs. At some point the vibrational downslide bottomed out, and the rising curve (still manifested in a wavelike series of peaks and troughs) took hold. The divine spark of light itself that had been breathed into the newly human and boosted by the self-investment of the star colonists began to shine more surely and brightly. Human vibration has been steadily on the rise for quite some time, and some of us are starting to think in terms of “upgrading” to a significantly higher vibrational base. We call it ascension. Converting the human body from a food-based energy to direct cosmic (“free”) energy is like converting a fossil-fueled home furnace to an electric heat pump. The distribution equipment-the ductwork-that distributes energy throughout the body may be maintained in place and will continue to function, though the source of its energy has been completely changed. In order to accomplish this in our bodies, the mitochondria will have to be either phased out or retrained. To assume our lightbodies we have three basic options: death and resurrection, simple ascension and empowered ascension. Death and resurrection are, as the terms imply, a death crossing followed by a rising again to life. It doesn’t matter how death comes; our spirits leave our bodies and the body shuts down. The empty body, no longer the vessel of a living being, is sloughed off, discarded and soon decays. The mitochondria within each cell of the body die as the body dies-and indeed, they will have played a key role in creating the death of the body. When death is followed by resurrection (as opposed to spirit plane life and/or rebirth), the physical body is wholly reconstituted as a “lightbody” thought form manifestation, having achieved godlike immortality. There is indeed a physical body present, but the resurrected lightbody will not age or decay or die, though it may disappear or change-and indeed might be changed in an instant according to the creative intentions of the spirit who inhabits it. Simple ascension is essentially a one-way trip to the etheric planes. There is no death crossing per se. We step into our lightbodies and simultaneously step through the veils of illusion to the “other side.” In this case, the mitochondria are phased out at the moment of our being absorbed into the lightbody. They are burned away like dross and cease to be a part of our ascended selves. If living persons were able to witness this event, they would see us begin to glow more and more brightly…and then disappear into the light. There would be no body left behind to bury, and unless there was a whole crowd of witnesses (including, perhaps, a law enforcement official or two) the disappearance would be hard to explain to the civil authorities who concern themselves with such things! Can you imagine the confusion this might cause? Meanwhile, the ascended one(s) would find themselves in the etheric world or spirit planes that surround the Earth. From that point on, they would have exactly the same opportunities for unlimited life in the Earth sector or elsewhere as those who had come to the spirit planes through the gates of the death crossing. Empowered ascension is more complex, and requires much preparation, yet it can be done. One who achiever empowered ascension will have all the qualities of those who have stepped into their lightbodies through death/resurrection or simple ascension, plus the ability to maintain a continued presence on the physical Earth plane in physical form. It will be “physical” in the sense that it is tangible, to the self and to others and has all the functional options of a physical body. Yet it will be anew kind of physical, thanks to the empowered options of the lightbody. Simple ascension is an assumption of the physical body into the lightbody; empowered ascension is an assumption of the lightbody into the physical body. It is a full manifestation of God-light in humanity through which humanity-even if only in the presence of one person, one example, one “first” achiever to blaze the trail-“graduates” into God-hood. Those who achieve empowered ascension here on Earth will be the first fully mature prototypes of a new breed of physical, sentient, spiritual, empowered humans, whose impact on the Earth sector and the entire cosmos will be enormous. Curiously enough, it is easier to phase in the new free energy source than it is to phase out the old food-as-fuel energy source within the human body. When the decision to step into the lightbody has been made and begins to be implemented, countless trillions of mitochondria suddenly find themselves deprived of their primary raison d’etre as power plants within human cells. They are no longer needed to sustain the life of the body, so they then turn to their secondary task, which is to participate in creating cell death. As Brown explains, “Cells can die in two different ways…chaotic explosion or controlled suicide. The former is known as necrosis and the latter as apoptosis. Necrosis is a frenzied, savage form of killing… the mitochondria and other parts of the cell blow up like balloons and explode. This can be a big problem for the rest of the body, too, because the release of a cell’s total contents, including toxic chemicals and enzymes, damages surrounding healthy cells and causes general inflammation. Apoptosis, also known as programmed cell death, is a much more orderly process, in which the cell is gradually disassembled from within and digested by white blood cells. At that point in the pre-ascension process, the old familiar patterns of creating and maintaining good health (a sensible diet, moderate exercise, getting a “normal” amount of sleep, and so forth) play a steadily diminishing role in maintaining body energy and no role whatsoever in determining overall body health or body appearance. At the same time, the physical body of one who has embarked on the empowered ascension path becomes progressively less likely to be negatively affected by purely physical external stimuli (such as viruses, bacteria, toxins, adverse weather conditions, routine minor cuts and bruises and insect stings). Conversely, the physical body-whose very nature is in the process of changing and preparing for the major transformation soon to come-is also less likely to be helped by traditional health care methods or interventions. That’s really not a problem, though-by the time people are candidates for empowered ascension, they will already have become intimately familiar with natural healing methods, including vibrational healing such as Reiki, Mahikari, noninvasive psychic surgery, a variety of aura therapies, chakra repairs and other metaphysical methods of addressing imbalances and dysfunctions. Those on the ascension path will want to do more than just correct today’s imbalance and dysfunctions or to allay momentary concerns; they will want to look deeper into the situation and find ways to solve the problem on a broader basis. “If I’m on my way to the lightbody,” they ask themselves, “then why is my physical body breaking down?” Actually, the physical deterioration (whether minor or major) may well be a natural part of the ascension process. As such, it will require progressively greater understanding and stronger problem-solving skills. · Flashpoint Conversion: This model of mitochondria phaseout is based on the method used in simple ascension. At the moment of final transformation, the mitochondria-and any other appropriate material in the body-would simply be burned away as dross during the initial moments of the integration of the physical body and lightbody. This method would be quick and clean, but would also require great delicacy in implementation. If the candidate were even so much as a micrometer misaligned in preparation, timing or execution, he or she would either fail in the attempt or, more likely, slip into simple ascension (bringing the physical body up into the lightbody) instead of empowered ascension (bringing the lightbody down into the physical, resulting in the “new kind of physical” human of we have spoken). 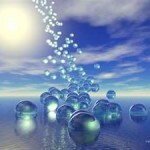 · Cellular Redesign: This begins with reprogramming of one’s personal DNA. Old programs are identified, examined and phased out or redesigned. Old cells in the physical body (that are dependent on the mitochondria’s conversion of food to fuel) would continually die off as is the normal process that exists today. The new replacement cells would be the redesigned “upgrades,” drawing free energy directly from external sources (and therefore having no mitochondria, for which there would be no need). These cells would in and of themselves embody a kind of microbiological empowered immortality, for they would be capable of instant transformation into any form-including reversion to pure energy, which many people think of as being “formless”-but they would never die. Immortal cells would eliminate the need for those bodily systems that now manufacture and distribute new cells. Those systems could then be redesigned to serve some other useful or aesthetically pleasing purpose. · Chakra Upgrades: Existing chakras within the body and aura would be replaced, one or two at a time, with redesigned chakras capable of implementing the intentions of the candidate for empowered ascension. This would include the twelve major chakras, plus the secondary and tertiary minor chakras, and could easily be designed as a two- or three-step upgrade. The improved chakras would draw free energy directly from universal source into the aura, and distribute it throughout the physical body. They would also distribute information-a schematic of the cellular redesign plan-to all parts of the body, along with the free energy. New cells would be automatically upgraded as they were generated, and existing cells would be re-educated. Mitochondria would be phased out or retrained at the cellular level, one body area at a time. In order for this method to work smoothly, you wouldn’t necessarily have to reprogram your individual DNA, but you would definitely have todeprogram it selectively in order to prevent old programs from interfering with the details of the upgrade intention(s). You would address them in a loving way, offering a win-win scenario in which they would be phased out in your body (in a gradual and orderly way-not by mass cell death) and transferred to another appropriate host or retirement community. Once a destination has been located ( or created), your guides will back you up by providing transport for the mitochondria. Remember, you don’t want them to all leave at once! Until you are restructured into immortal status, you’ll need the mitochondria to keep killing off old cells to make way for the new ones being generated. · Mitochondria Retraining: Like the previous method, this is also based on open communication with the mitochondria. Instead of arranging for them to be retired or relocated, however, you would talk to them about the need to phase out the food-to-fuel conversion method and ask them to reconfigure themselves to be able to access free energy from the universal source and distribute it correctly throughout your physical body-yournew physical body. It would be something akin to converting a fossil fuel power plant to nuclear power. The distribution system would remain in place, but thesource would be very different. The lightbody is a birthright of humanity; everyone will step into it sooner or later, one way or another. It is the destiny of humanity to come to know its own divinity. It is nirvana and light-merge; it is becoming one with the All. It is wonderful, and you will come to experience it…regardless of which pathway you choose and even if it takes you a long time to get there from here. But empowered ascension is beyond a simple integration with the lightbody. It is not a birthright; it must be earned. It must be actively, consciously co created. The empowered ascended one becomes a living God on Earth. She or he will be in full oneness with the higher powers, yet will also walk the Earth in godly power and grace, taking part in the life of the planet and in the lives of its inhabitants as she or he may see fit. If it’s what you want, you can do it The concept of empowered ascension is a uniquely human one, and will mark the creation of a new breed of human beings in whom higher powers are also vested. The universe is watching in breathless anticipation for the next development in the process, the next step forward. Microbiology, the restructuring of the physical human body so that it can successfully sustain the assumption of the lightbody into itself, is a critical part of the process. Science can contribute to the making of this miracle, but science alone cannot make it happen. The researchers who decipher the mysteries of microbiology and map the human genome are giving the candidates for empowered ascension more tools to work with, more information to build on, but that won’t be enough. 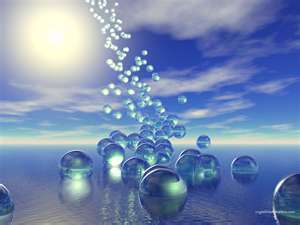 Empowered ascension is both a physical process aspiritual process. You can’t get there by body focus alone. Scientists are on a path toward reducing (and eventually eliminating) a number of physical health challenges through genetic alteration and gene therapy. Even though there might be some expensive mistakes along the way, this is, in principle, a wonderful thing for humanity. However, its benefits-improved quality of life and a tendency toward greater longevity-cannot, in and of themselves, bring about ascension. Apart from the issues of spiritual development that pave the way for ascension, there is also a glaring omission in the scientific research and development approach toward achieving human immortality: no one is working on converting the human body’s fuel source from food to direct energy and the subsequent questions of how to deal with the mitochondria. The traditional scientific research community, despite their great leaps forward in genetic research, would presumably laugh at the idea that such a thing is even possible. This aspect is clearly being left to the spiritual “Research & Design” community, and perhaps that is just as well, for only the most unlimited and freethinking researchers are going to be able to come up with workable solutions to the problem. Science can’t make it happen. Ritualistic or religious approaches can’t make it happen. Limited thinking can’t make it happen. Simple body focus can’t make it happen. It’s going to take the fully developed spiritual qualities of an enlightened candidate whose intelligent imagination and resourceful problem-solving skills represent the best of humankind. And it’s going to take the intense focus of someone who truly wants empowered ascension for all the right reasons. It’s going to take someone who knows herself/himself to be truly human and who is ready to mature into his/her essential divinity. NextKeiser Report: Zombie Bank Apocalypse – Are They Dead or Alive?